Ever since The Conduit was announced, there has been a nearly absurd amount of hype about the game. Compared to the other recently released games for the Wii, The Conduit sticks out like Michael Jackson at a preschool graduation. There aren’t too many FPS games for the Wii, which is sort of odd since you’d think that the control system would be the next best thing to a keyboard/mouse combo. Early screens for The Conduit also showed a lot of promise, or at least as far as what could be expected of the graphics for the game. In a way it’s almost unfair for High Voltage Studios. 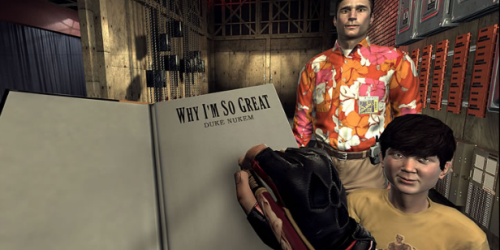 Because it was going to be a FPS with good graphics for the system, expectations for the game were at an all time high. Now that the game has been released is it the kind of game that shows off what the Wii can do for the FPS genre, or is it another third party Wii game that fails to live up to expectations? The Conduit has two main modes, Story and Multiplayer. In the single player story mode, the game presents a plot that is about alien life forms, secret organizations, conspiracies, and so on. It’s also completely generic and poorly told. Before each of the levels, there will be a static scene with lines of text between the main character and various people that provides the outline of the plot. Since these scenes are essentially scrolling lines of text, it is completely boring to sit through. It doesn’t help that the voice actors reading the text do a pretty terrible job conveying the emotion behind the script. There’s an obvious twist at the end of the third level, but considering the fact that the voice actor for the character that reveals himself to be a bad guy reads the lines like a corny villain it is no surprise when this actually happens. It is just a bad story that is poorly told. Another thing that really hurts the single player game is the fact that it does nothing that hasn’t already been done to death elsewhere in the genre. 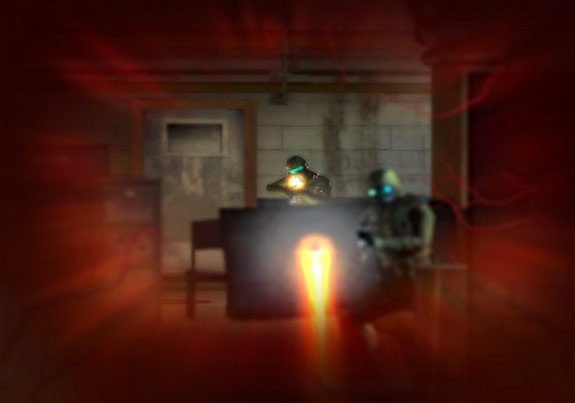 The Conduit is a corridor shooter that is more reminiscent of FPS games like Quake II than anything that has been currently released as a FPS. A majority of the game is spent walking through one small hallway to an open space, killing everything in that space, and then going through another hallway. 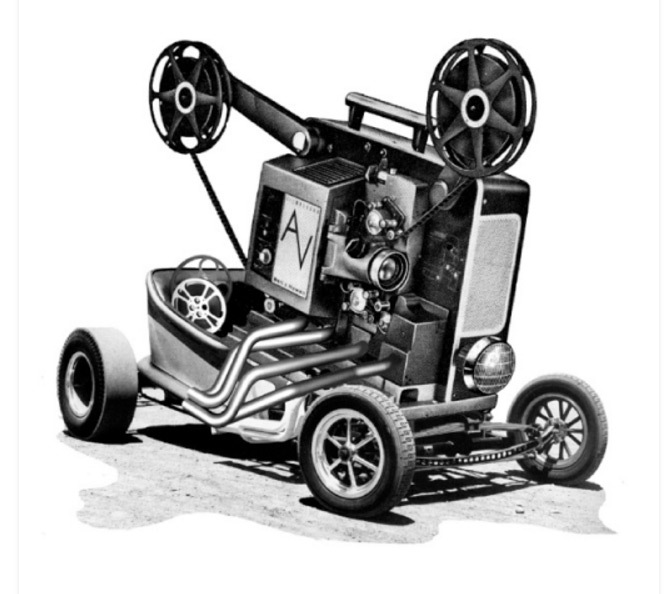 Graphically The Conduit is a mixed bag. The environments in the game are horrible. Very few textures and bland backdrops mean that areas that should feel epic to have a firefight in instead come across as just another corridor to shoot your way through. In nearly every other aspect though,The Conduit rocks. This is about the time where I should mention that it is impressive for a Wii game, but that sounds trite. Except it IS impressive for a Wii game. Alien character models, blur effects, the different weapon effects and designs are all great. It runs at a very nearly smooth frame rate as well. The enemies have a good amount of detail and there are somewhat decent lighting effects on display. Just like every other thing about The Conduit, every positive also has a negative. Even though the enemies have a good amount of detail and the weapons have some cool effects, the art style is pathetic. Just like how the single player game is a mashup of corridor shooter cliches, the art design feels as if they just lifted the different alien designs from a bunch of other sci-fi games. The levels are the same way. Here’s Airport #1 where you face Alien #324. Compared to something like Metroid Prime ,the art design in The Conduit is extremely lacking, even if it looks sharper than other Wii games or if there are more effects on screen. The music is decent but nothing to write home about, and the voice acting is extremely disappointing. Some of the blame lies with the script, but it feels as if the voice actors just hammed their way through the dialogue. The guns sound great however. And while we’re nitpicking, let’s get to one of the other major offenders of The Conduit….the game balance. The difficulty level is all over the place in the levels. There are areas that will be easy to clear of several enemies, and then you’ll walk into a new room where the enemies all already have their weapons trained on you and open fire just as soon as you get through the doorway. One of the harder areas is at the end of the third level, if only because the sheer amount of enemies and the fact that there is no regenerating health at that point of the game. There are parts of the game where you have to use the All Seeing Eye (or ASE for short) that are a questionable design decision. Some of the levels have parts where you can’t continue until you play hide and seek with the ASE to find different nodes. There is no point to this except to extend the length of the game. At points you will be able to find secret areas by locating puzzles with the ASE, which unlike the nodes are at least interactive in a way. Another function of the ASE is to locate and defuse invisible mines. There’s just no game where the words “invisible mines” are a good thing. Maybe Scrabble. So in the middle of the action, you might have to disarm a mine that you can’t see unless you take out the ASE, which means that you will not have a weapon in hand to use to defend yourself. Or you’ll be shooting your way down corridors just to have the game come to a screeching halt merely because your character must now find four hidden nodes around the small room. The ASE could have been a great gameplay element, but instead it is used in the most banal way possible. At this point you must be wondering if I found anything redeeming about The Conduit. I did, but I wanted to get the negative stuff out of the way. The Conduit is by far one of the best third party efforts when it comes to the control interface for a game. Not only is there a wealth of different sliders and options to change to get the control style to what works the best for you, but even the default setting works pretty well. The Wii remotes controls the crosshairs on screen, the D-Pad is for switching weapons and for zooming in with either binoculars or a zoomed in view with a scope on certain weapons. 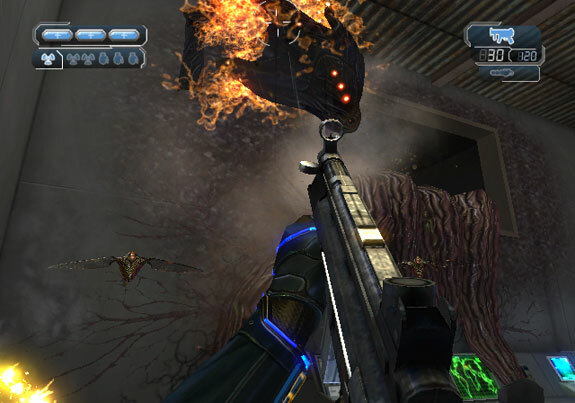 A jumps, B fires the current weapon. You can throw grenades with and overhand motion with the nunchuck, and the joystick controls the basic movement. You can use the Z button to lock onto enemies. From there you can change just about any button to something else if you want to. 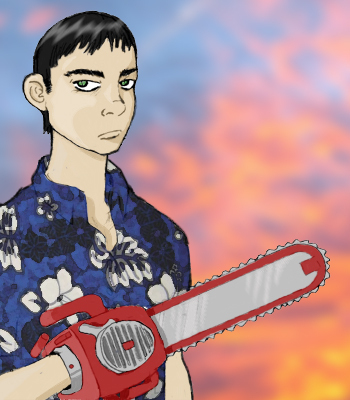 Melee attacks for example are assigned by default to a forward thrust of the Wii remote. This can be confusing to do in the thick of battle, and after the thrust you have no idea where the cursor is pointing for a moment. When playing The Conduit, I suggest you do yourself a favor and go into the options screen and change the remote dead zone to as small as humanly possible. This will give you far more accurate control with the Wii controller and makes headshots a snap. This is the type of control scheme that any FPS for the Wii from now on will be judged upon. It’s perfect, or at least if you don’t think it’s perfect after messing around with some of the options it will become perfect. I don’t think I ever used the lock on at all after adjusting the dead zone. 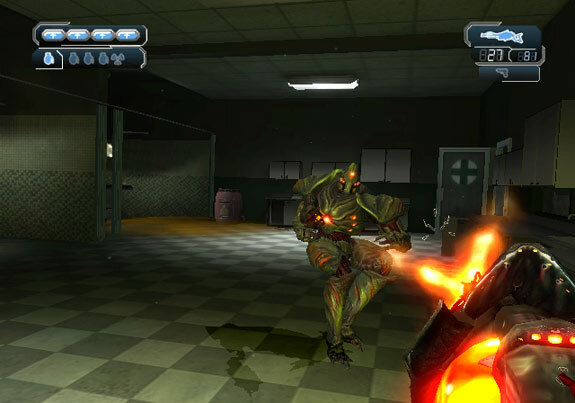 The AI for the game is well done compared to other Wii FPS titles as well. Then again maybe I’m setting the bar low. I mean, have you ever played Call of Duty 3 on the Wii? There were some decent set pieces in that game, but the enemies were stupider than Sarah Palin’s decision to resign as Governor. In The Conduit they’ll at least occasionally seek cover, throw grenades, and at least do more than just stand there. It’s still not as good as the AI in other consoles, but on the Wii it’s pretty decent. Multiplayer is also a huge high point for the game. If the game only had a single player mode, it would be a complete rip off for the price. Not only is the story bad, but it is extremely short, even with the ASE segments extending the length. 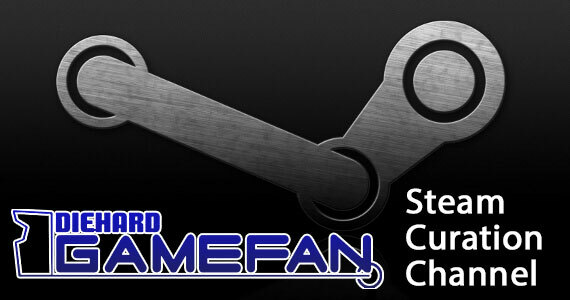 Five hours should be about the average amount of time it will take for a regular gamer to beat the game. Luckily High Voltage Software has implemented what is quite easily the best multiplayer system in a Wii game. Sure there is still the usual BS with different kinds of friend codes and such, but it doesn’t take very long at all to just get into a game with up to twelve random strangers from around the world. The multiplayer is where it’s at for The Conduit and while the short corridor FPS of old isn’t something you want to see in a FPS game nowadays, The Conduit does a good job of also letting people live the glory days of the run and gun online FPS. Run, bunny hop, kill, spawn, repeat. It is fast and furious and exactly the type of online FPS game that seems to be slipping away in favor of cover systems. Playing The Conduit online will bring flashbacks of playing multiplayer games of Goldeneye or Unreal Tournament. The maps could be better designed for online play, and there certainly could have been more of them, but what is there is a fun engaging experience that’s easy to set up and with a multitude of different gametypes to play through. There are rumors of people trying to ruin the experience through different hacks, but during the time I played I didn’t run into any such problem. It played smooth and was a lot of fun. When it comes down to it, in many ways The Conduit plays like a very extensive tech demo for the engine that High Voltage Software created to run this game. I really hope that other developers use the engine created here so that instead of spending time wondering if the game will run well, they can instead focus on having a stronger art design, better story, and overall more entertaining single player experience. 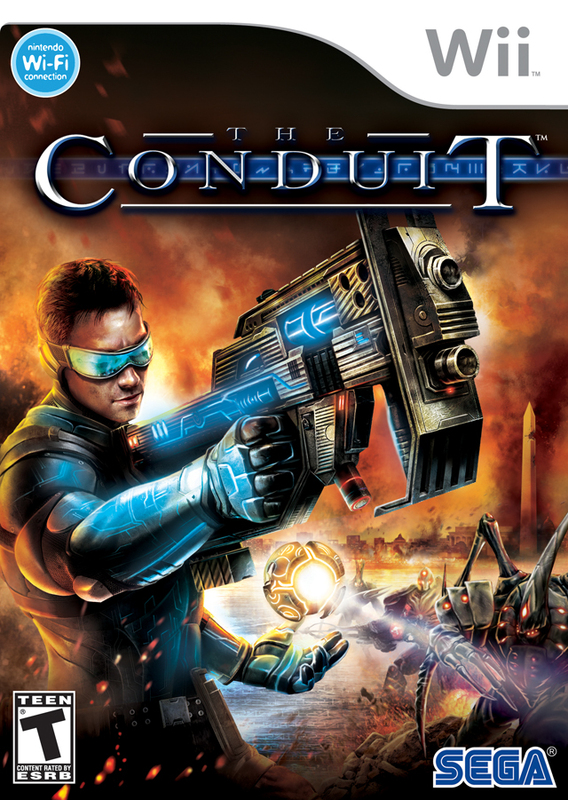 The Conduit is certainly a solid third party title, but given the limits of the single player mode, if you are considering this game but do not plan on playing online then you should just skip it. The Conduit is a much better demonstration of the engine that runs the game instead of actually being an enjoyable single player experience. However HVS have nailed the Wii controls perfectly and have created what is easily the best online interface compared to any other Wii game out there. If you want a fun online shooter on the Wii and don’t care about the single player game than it’s easy to recommend. Had this been released on one of the other current home consoles, it would’ve been considered mediocre at best. 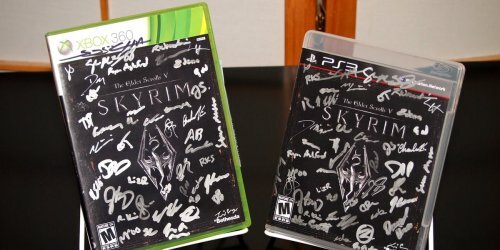 Win a SIGNED Copy of The Elder Scrolls V: Skyrim from Diehard GameFAN and Blockbuster!